Packaging is of the utmost importance to the frozen food industry, as this type of food is prone to perish rapidly without proper packaging. Freezing food is a common method of food preservation which slows both food decay and, by turning water to ice, makes it unavailable for most bacterial growth and slows down most chemical reactions. Frozen food packaging is also helpful in preserving the taste, aroma, texture, freshness and nutritional values of these food products, until they are ready to be opened. 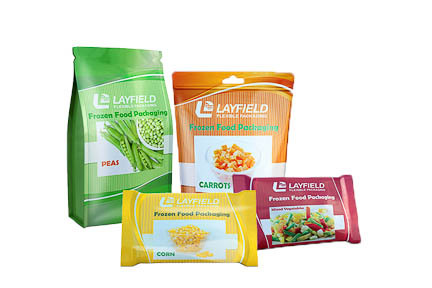 Layfield offers frozen food packaging which has been developed from quality food-grade packing materials which are well suitable for packing raw, semi-cooked as well as cooked foods. We insure that the packaging provided meets specific tolerances for use in negative temperature environments which are needed to avoid the degradation of food products, while increasing the shelf life of many products.